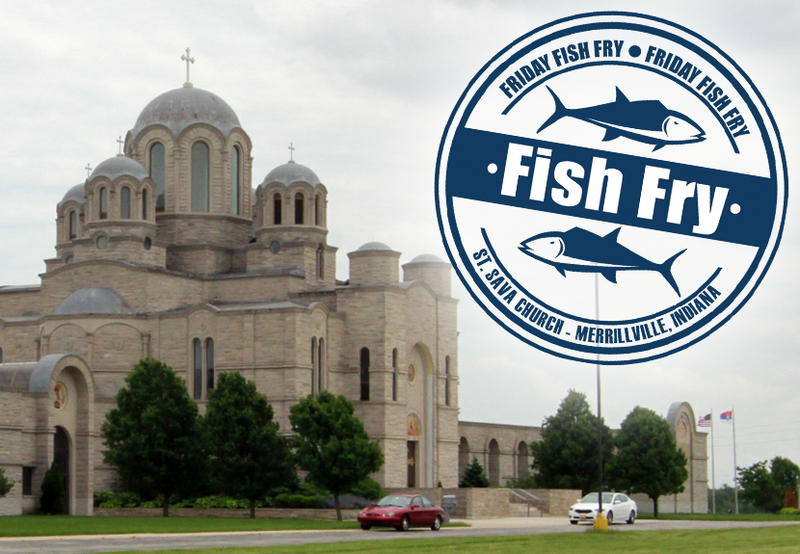 Whether you’ve only seen the glistening domes topped with crosses as you’ve driven down I-65, enjoyed delicious spit roasted lamb at the annual Serb Fest in the summer, or regularly participate in services every Sunday morning, you have three unique opportunities over the next several days to explore the interesting facets of Serbian folklore dance culture taking place at St. Sava Serbian Orthodox Church in Merrillville, IN. You’ll be able to watch a special feature on television, join us to learn some dance steps during an open dance session, or learn more about the folk costumes and art at an exhibition and presentation. You don’t have to be Serbian to learn something new or have fun. In fact, everyone in the community is invited to join us as we share and contribute to the cultural diversity in Northwest Indiana. Check out the options below and join us for these unique experiences! When: Friday, March 3rd at 7:00 p.m. and Sunday, March 5th at 8:30 a.m. 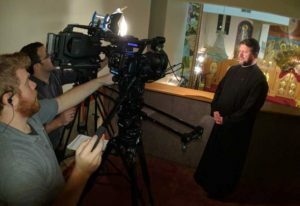 The youth folklore group named “Srbadija” of St. Sava Church in Merrillville will be featured on the locally produced Lakeshore Public Media program “Eye on the Arts” that will air Friday, March 3rd at 7:00 p.m. and Sunday, March 5th at 8:30 a.m.
You’ll learn about the story of how this unique art form helps connect youth today, but also connect them with a heritage that spans the generations. Click the play button on the YouTube video below to see the full television show segment. Tune in to Comcast channel 239 or Channel 56 on Broadcast, DIRECTV, and DISH. 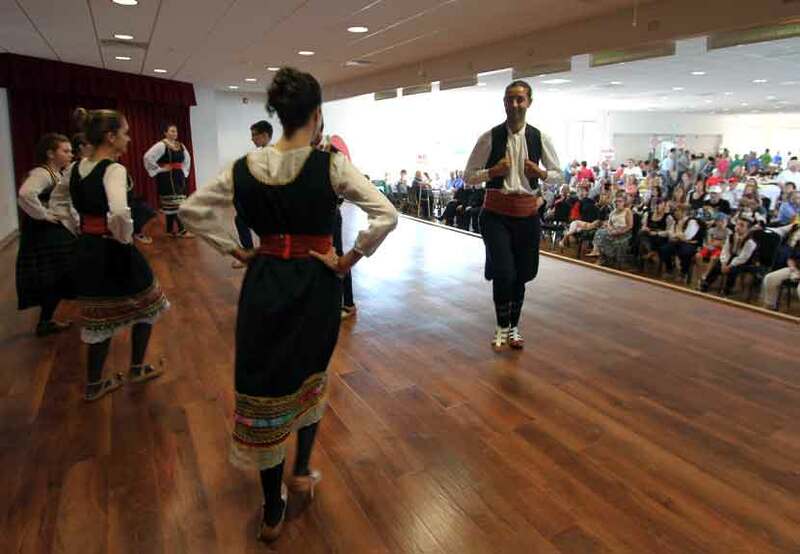 When: Monday, March 6th at 7:00 p.m.
You are invited to join the dozens of people that have been showing up each week to celebrate the cultural and healthy exercise benefits associated with traditional Serbian Folklore Dance at St. Sava Church. The Adult Folklore Dance Sessions meet each Monday evening at 7:00 p.m. in either the Pavilion or South Wing Social Center at the church learning new dances, getting a dose of exercise, and simply having fun. The open group seeks to gather people interested in learning traditional Serbian Kolo dances and to just have fun. 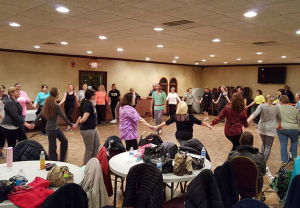 The group welcomes those with no previous dancing experience from the greater Northwest Indiana community along with people who learned the traditional dances growing up in youth folklore groups and want to keep dancing with friends in an adult environment. Everyone is welcome to attend – men and women, members of St. Sava, members of other churches throughout Northwest Indiana and Chicagoland, and anyone in the community who simply wants to learn about the culture and the fun, circle dance called the Kolo (no more sitting on the sidelines during Serb Fest – you will be dancing like a pro by the time the fest rolls around if you practice – www.serbfest.org). The dance sessions each Monday evening start at 7:00 p.m. and end by 9:00 p.m. Each session begins with some general dance instruction and review for dances that are commonly performed at various Serbian festivals and celebrations. The second half of the session focuses on more structured types of folklore dances. All of the instruction is provided by Miloš Drljević Djakovac, the dance instructor for St. Sava’s youth folklore group named Srbadija. The focus of these dance sessions is to have fun, so don’t worry if you don’t have traditional Serbian “opanke” dance shoes in your closet. Wear your tennis shoes and comfortable clothes because dancing the kolo can be a serious workout! Magda Serdar, organizer of the dance sessions, explained her reasons for wanting to help form such a group. “I just love folklore. You are never too old to dance. A lot of people have talked about forming such a group and there are so many people who have danced in the past when younger, now is the time to do it,” Serdar said. Dance sessions begin at 7:00 p.m. Monday evenings at St. Sava and take place in either the South Wing Social Center or the Pavilion, depending on group size and room availability. A small fee of $5 per week will be collected and used to support the church, children’s folklore, and children’s choir. When: Tuesday, March 7th at 7:00 p.m.
Visualize and engage different geographic regions of Serbia through an exhibition of handmade folklore dance costumes and art taking place Tuesday, March 7 at 7:00 p.m. in the South Wing Social Center at St. Sava Serbian Orthodox Church, 9191 Mississippi Street, Merrillville, Indiana. The event is free and open to the public. Choreographer and folk artist Milos Drljevic Djakovac will showcase various costumes, including those he has handmade, representing differing areas of Serbia. 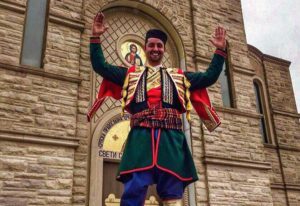 He will provide a presentation with illustrations and talk about the different styles of Serbian folk costumes in relation to their geographic regions of Serbia. The presentation will provide insights about the fabrics, the colors, and the intricate designs. Special guest and noted Chicago area artist Gordana Nenadovic, will talk about elements of folklore and folk costumes in Serbian painting and naive art. Nenadovic is an artist, professor, and noted icon painter living and working in Chicago. Her work has been exhibited in the US, Canada, Germany, Russia, Switzerland and throughout many cities in Serbia. She specializes in Byzantine style icons and other forms of art including wall mural decorative artistic painting.